it’s important to note that creating a winning gift guide takes more than just rounding up your products and putting them in a catalogue. Releasing gift guides is a tradition in the retail world, so you have to be creative with how you craft and market them. Today we’ll talk about how you can accomplish that. Below are some of the things you could do to ensure shoppers actually pay attention to your gift guides. 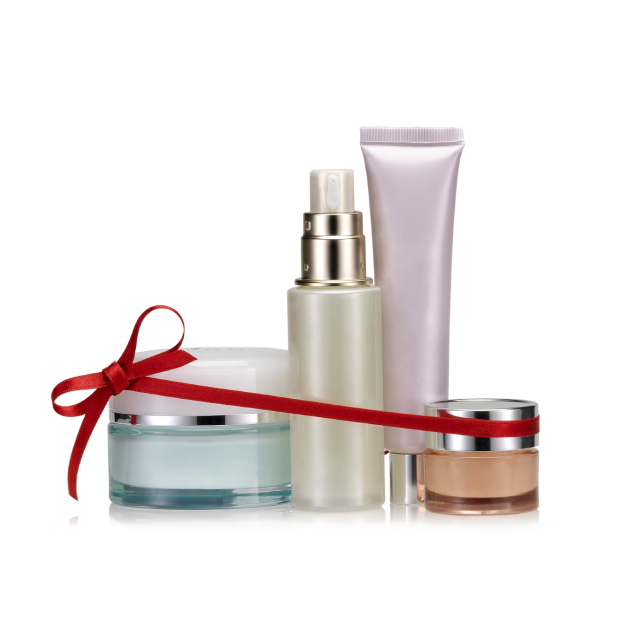 How do you decide which products should make it into your gift guide? One reliable way is through the use of data. Generate reports on your top sellers, identify the items that would make for great presents, and include those in your guide. Ideally, your gift guide should contain products that would appeal to various shopper segments, so it’s best to filter reports according to category. This will ensure that you’ll have a nice mix of product types in your guide. Numbers and sales trends, while helpful, aren’t the only things you should rely on. Be sure to gather qualitative information from your associates and get their say on which products would do well during the holidays (or the specific occasion that you’re creating the gift guide for). PGA TOUR Superstore, a national retail chain of golf stores, does this when they’re creating their gift guides, and according to Chief Marketing Officer Matt Corey, the practice has worked well for them. “Our internal team reviews every product category to hand-pick the best products that we want to present as gift ideas, then we present those items both in-store and through various online marketing efforts as well,” he says. You shouldn’t be creating your gift guide in a vacuum. Go out there and talk to your customers about their ideas or any items that they think should be included. You could also use social media and online polls to gather insights. PGA TOUR Superstore, for example, leverages social media to let customers share the items the love, as well as vote on their top gift ideas. Consider doing something similar in your business. Post a quick social media update asking your fans and followers which of your products would they like to receive this season. Or if you’re considering adding a particular item to your gift guide, try posting an image of it on Facebook and Instagram and see how your customers react. Another potential source for gift guide input would be your suppliers. Have a talk with some of your vendors and ask them which items are hot and trending. Their insights could prove to be valuable when you’re creating your guide. And who knows? If your conversation goes well, you might even get the opportunity to score a great deal on your next order. How products are arranged and categorized can make or break your guide, so take some time to come up with the right categories. There’s no one right answer when it comes to how to categorize your products, as this depends on your business and customers. For example, if you sell a wide range of products, then you could use categories like “For Him,” “For Her,” or “For the Home,” similar to what Macy’s is doing. Others such as Bed, Bath, and Beyond are using product categories such as “For Bedroom” or “For Living Room.” On the other hand, if you’re a specialty store–say a menswear retailer, you could be a bit more specific, using categories like “For Dad” or “For Husbands”. If you have a lot of price-conscious customers, consider adding a category like “Gifts under $100 / $50 / $25,” to help them quickly find products that are within their budget. Showcasing individual items is great, but you should also consider throwing in a few bundles or gift sets here and there. It’ll give you the opportunity to showcase items that go together, while subtly upselling products at the same time. Your customers are likely going to view your gift guide on different channels or platforms, so you’ll want to make sure that your guide looks great no matter what. If you’re creating a digital gift guide, see to it that it’s responsive, so people can view it with ease whether they’re on their desktop or phone. Giving out physical gift guides? Invest in high quality paper and printing. You want people actually peruse your guide, rather than treat it like a cheap flyer and just throw it out. And whether you’re creating physical or digital guides (or both), be sure to only use original, high-quality images. 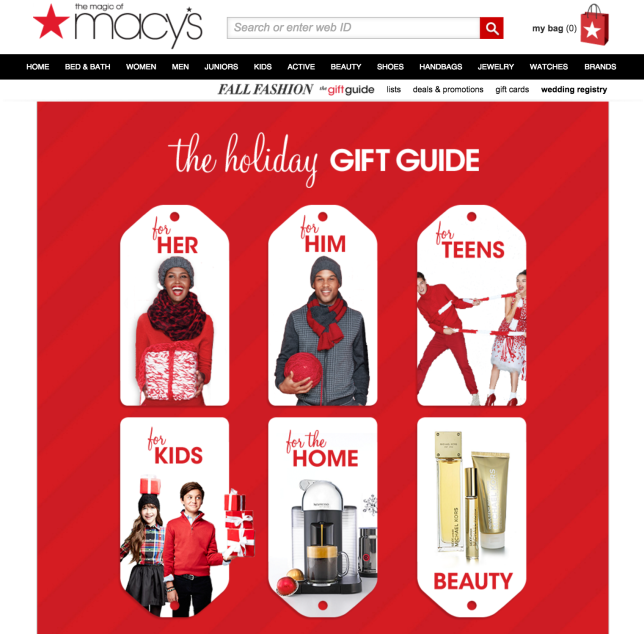 Gift guides are meant to be highly visual, so using low-quality images is a no-no. If you have resources to spare, consider creating a video gift guide. Video has proven to be effective in gaining traffic, views, and engagement, so a video gift guide could be just the thing to get people interested in your products. Check out this example from Bed, Bath, and Beyond. The retailer created a very quick video that gives an overview of some of their products and the people who would appreciate them. See if you can go down a similar route this holiday season. See to it that your gift guide appeals to people outside your ideal clientele. Remember, your guides should also engage those who would be buying gifts for your target customer. For example, if you’re selling women’s jewelry, then the people who be buying your merchandise as gifts would likely include husbands and sons. Avoid using jargon or industry-specific terms in your gift guides, as you might end up confusing those outside your market. This tip is particularly helpful if you own a specialty retail store that’s frequented by hobbyists or aficionados. This article originally appeared on Vend's retail blog.